Today I’m thrilled to interview the very talented, Rosie Garland. Years back, my first novel, Welcome to Sharonville, was shortlisted in the same Mslexia Novel Competition which Rosie’s book, The Palace of Curiosities, won – I wrote to congratulate her afterwards and a cyber friendship was born! Rosie’s writing career has gone from strength to strength since and she has more than just an exceptional talent for fiction – she’s also a poet and essayist, as well as being a singer with the internationally successful rock band, The March Violets. 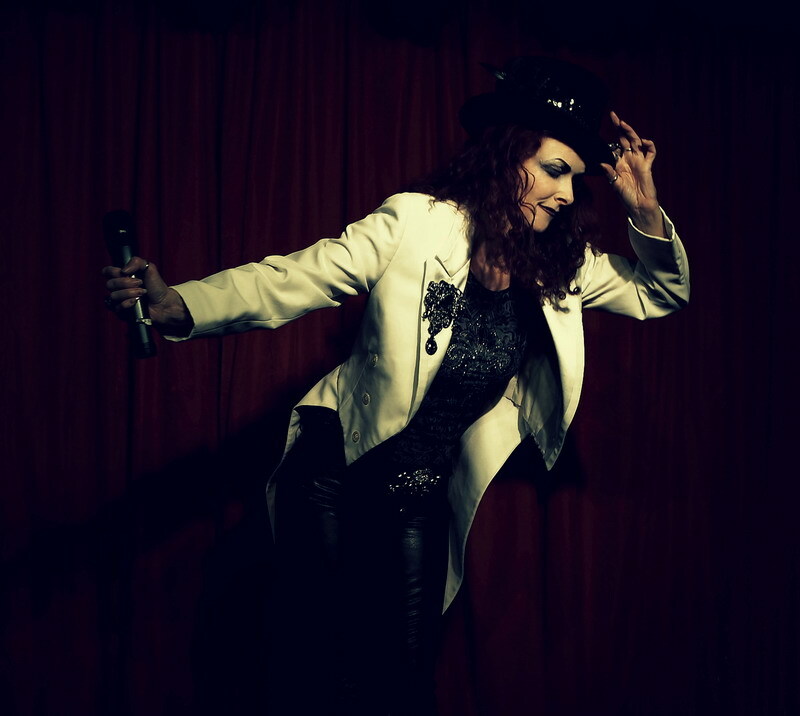 She is, in addition, an alternative cabaret star, performing under the name of Rosie Lugosi (I feel tired just thinking about all this!). I’m sure you’ll find her take on research and writing fascinating, as well as very practical (oh, and she’s funny!). There has been a thread of story running through my whole life, despite many knots and tangles along the way. What came first was being read to by my grandmother (everyone gets one decent grandparent, right?). [I certainly did – Welcome to Sharonville contains a lot of my gran’s stories!] I discovered the joy of being transported to other worlds via the magic of words. It wasn’t long before I started telling my own tales, starting with teeny books I created for my dolls. Thank you for asking! 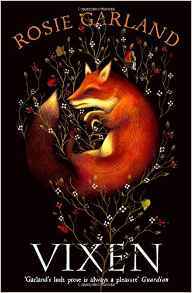 My next novel, The Night Brother, is due out in June 2017 with The Borough Press, who also publish The Palace of Curiosities and Vixen. I’m very, very excited. The Night Brother is set in the industrial heartland of northern England, Manchester. I’ve wanted to write a novel based there for a long time. I love the place, with its heritage, amazing architecture and radical history. 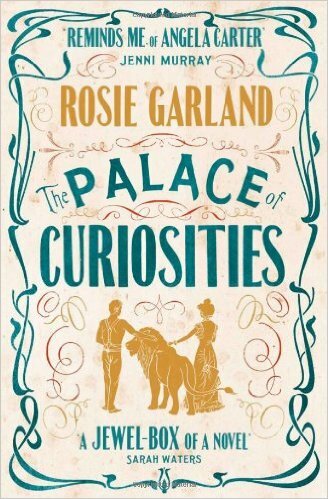 The Palace of Curiosities is set in the 1850s and Vixen is set in the mid-fourteenth century. 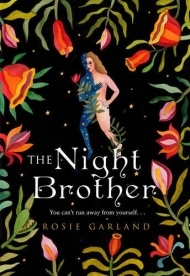 The Night Brother takes place in and around 1910, so yes, it’s another historical novel. I don’t have a problem with being called a historical novelist. I’ve been called a lot worse. I’m fascinated by pretty much everything, especially history. 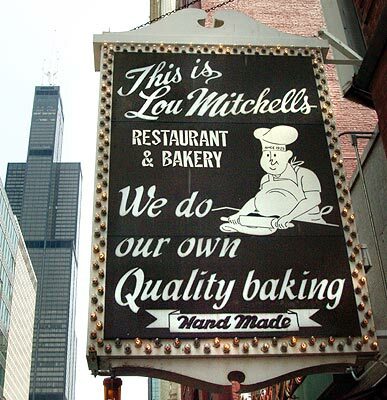 It’s always been one of my great loves. This curiosity underpins what I write and why I do it the way I do. Having said that, I do not write non-fiction history books. I tell stories set in the past. I am drawn to times when the world is on the cusp of massive change, specifically that moment before those changes take place. I view it rather like an indrawn breath, held and not released. Vixen is set during one such period of upheaval: the year the Black Death struck England. I wanted to capture that sense of a deadly force and its inexorable advance. The Night Brother takes place when Europe is teetering on the brink of a World War, a time of new political movements, not to mention the struggle for women’s rights. I’ve picked a moment right before it all tips over into wild upheaval. The two central characters in The Night Brother are siblings Herbert – who prefers the nickname Gnome – and Edie. As in my previous two novels, the characters speak in the first person. I like to let my creations tell their own story, rather than getting in the way myself. My characters emerge bit by bit and sometimes in the middle of the night! In the early stages of writing Vixen, I remember waking up at 4a.m.. It was almost as if someone had knocked on the door of my dreams, demanding to be heard. Luckily, I’m used to these interruptions, and keep pen and paper next to the bed. Dammit, Jim, I’m a storyteller, not a preacher! However many #mywritingprocess blogs I read, I’m inspired and warmed at the variety of creative strategies we use to get ourselves writing. I don’t think it matters at all if someone is a morning / afternoon / nocturnal writer, or whether you prefer a pencil, an iPad or grind your own ink from freshly-roasted walnuts. It’s more important to find what works for you. I don’t have a single process. I’m pretty flexible. Let’s face it, there are 1000 ways to derail my writing (shopping, housework, TV, social networking, etc etc – let alone my inner critic screaming how useless I am). Anything that gets me writing and not putting it off is the secret. I use both. In general (and rules are made to be bent and twisted), I draft longhand. I find I can splurge and create and fill notebook after notebook with scrawl. On buses, trains, in cafes, in bed – wherever. I use a computer to edit those rough drafts into some kind of sense. This seems to fit with Hemingway’s dictum ‘write drunk and edit sober’. My attitude is that it’s vital, and like high-fat food, best taken in moderation. Of course, I need to research the period carefully. Of course, I care about making the details fit the time. I can’t have a fourteenth-century woman using an iPhone. But it’s vital to know when to stop. The way I see it, the art of good research is when the reader barely notices its presence, only that everything feels right. Personally, I don’t care if an arrow is fletched with swan feather, eagle feather or magpie feather. I want to know who is shooting it, who dies, and why I should give a damn. I don’t use biographical or autobigraphical elements. I draw on this handy little thing called the imagination. It’s brilliant and completely free to download. Nor do I set out to offend, like one of those comedians who rely on profanity for cheap laughs. However, if I worried about censoring every little thought that came into my head I’d never write a word. 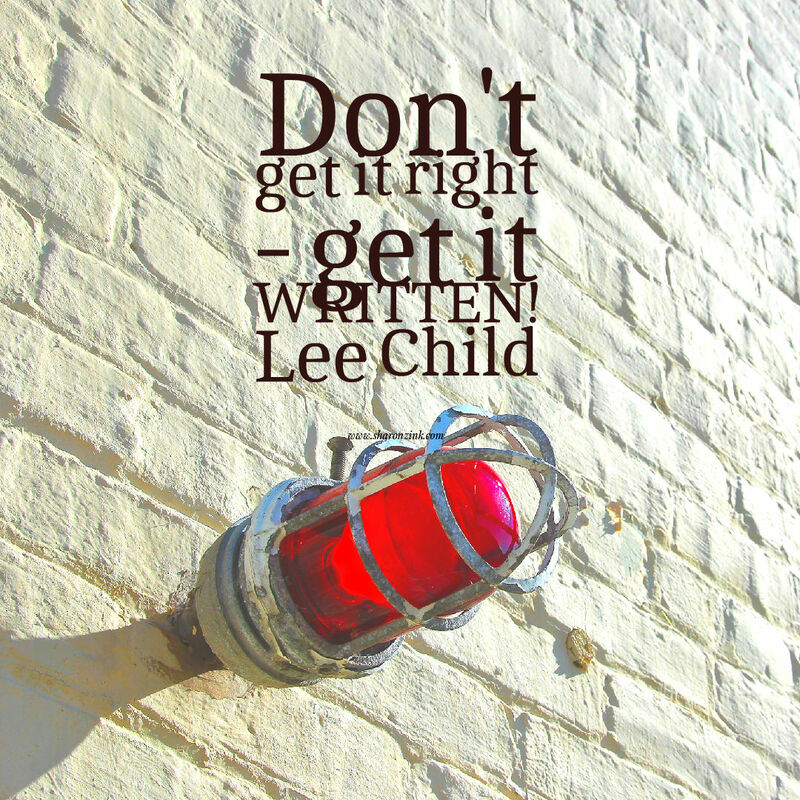 As a wise person once said, Don’t get it right, get it written. At the beginning of a project, I focus on getting the ideas down, longhand, without stopping to edit, censor, or get details right. I love the mind-body physicality of holding a pen. I can draw arrows, write notes to myself, scrawl across the page unfettered. The careful, detailed editing comes later. Here’s one small example of what I mean. How long have you got? I’ve been asked that question a gazillion times and a snappy answer is impossible. Which is good. I’ve read so many inspiring books that there simply isn’t room to list them. I’d add some encouragement, rather than advice: Keep going. Maybe you are one of those rare souls for whom everything falls into their lap from Day One. But for the 99.9% of the rest of us, persistence is a vital tool. It helped me. My journey to publication was a bumpy and, at times, demoralising ride, with a lot of rejections. I was with a reputable London agency for twelve years, and gave them four and a half novels. But however hard I tried (and did I try), however hard I worked on editorial suggestions, nothing seemed good enough. Twelve years of can-you-make-it-more? Can-you-make-it-less? I’d reached the stage where I’d pretty much given up on the idea of writing fiction. My agent stopped replying to my emails and my confidence was shot. I realised that if I was going to get anywhere it would be under my own steam. As a last hurrah, I entered a national Novel Competition. And won it. That was the turning point. Within a week, I had a fabulous new agent. Within a fortnight, she sold that winning novel – The Palace of Curiosities – to HarperCollins UK. The rest, you might say, is history. So, keep going. Keep sending out your work. Someone out there loves it; maybe they just haven’t seen it yet. I have a vicious internal critic who never, ever says anything nice. I’ve had to develop practical strategies to keep going despite the voice in my head. I can’t banish my low self-esteem completely, but I need to keep it at bay. The first thing was to give this undermining inner voice a name. I called her Mavis. It was liberating. No longer a terrifying demon, she transformed into a squeaky, thin-lipped, handbag-clutching creature. Much harder to take seriously. No, Mavis shows no signs of leaving me alone. She trots out the same old tune, the same old script. But now I recognise her rants. I’ve stopped believing her. And maybe, just maybe, there’s a positive side to all of her head-talk. It keeps me on my toes. With Mavis around, I won’t become one of those writers who think that every word is perfect. I work hard to make my writing as good as I possibly can. I am forever indebted to my wonderful friend, Jonathan. On my lowest days, he dragged me into Waterstones Bookshop, marched me to the Fiction shelf, shoved his hands between the books and made a space at the letter G. This is your place, he said. One day, your novel will be here. I have hundreds of time machines. Or, ‘books’ as I call them. The cover design commision for The Night Brother was selected for the prestigious 2016 Bridgeman Studio Award – a worldwide callout for expressions of artistic interest. What an honour that my novel should be chosen! There were almost 1000 entries from all over the world, of an incredibly high standard. I was deeply moved that so many artists wanted to see their work on the cover of my novel. In the meantime, I have just had a new poetry collection out with Flapjack Press in December 2016. And, as I said above, I am developing a new musical act with fabulous multi-instrumentalist Eilish McCracken, who plays with Rose McDowall. It’s been a real pleasure! Thank you so much for asking such interesting questions and for being such a great listener. I’m very close to finishing my next novel, piece of literary crime/seaside noir called Low Tide!